This week's tablehopper: XO sauce. 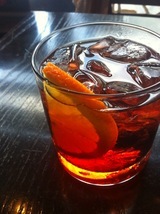 Negroni at aperitivo hour at Hog & Rocks. Photo: © tablehopper.com. Happy Valentine’s Day, darlings. Was crushed when Tony Bennett failed to drown out the weekly emergency broadcast at noon today, on the 50th anniversary of when he first sang “I Left My Heart in San Francisco” at the Venetian Room in the Fairmont Hotel. Our local radio stations also failed me. So thank you, internet, for ultimately giving me some lovey-dovey time with Tony, and my beloved city. More things on my love list: the fantastico aperitivo hour on Saturday at Hog & Rocks, courtesy of Liquor.com and Campari (here’s hoping they do more), the trout with garum-brown butter at State Bird Provisions, and the family feast for my grandma’s birthday this past Sunday, which included my dad’s mushroom risotto, my mom’s marinated lamb, and my aunt’s not one but two pies for dessert: Boston cream pie (this needs to be on more menus) and lemon meringue (she’s a baking machine). More items for the love list: on today’s segment of You Gotta Eat This on KGO Radio, I mention three places that serve delicious chicken wings (San Tung, Wing Wings, and Chubby Noodle). Have a listen. Tonight, the city will be divided between couples paying for prix-fixe dinners at restaurants converted into two-tops or cooking at home, while singles hide or go out and drink (I think it’s a great night to go out—odds are if someone is alone at a bar tonight, they’re single, or newly single, ha ha). Hopefully everyone is eating sweets. I will be out with some friends (and family) celebrating our annual Lonely Hearts Dinner (the name is meant to be funny) around a big table with a lazy Susan in the middle. Yup, banquet dinner time! Followed by kitschy drinks somewhere. Love it. Am also loving the fact that nopa (and Nopalito!) decided to close tonight for their annual holiday party. Bold! I was talking with chef Laurence Jossel yesterday, who said the staff is throwing a formal tonight, and he’ll be rocking a powder blue tux with a ruffled shirt. Pics were promised. This week, the highlight for me, gleaming brightly on my calendar, is tomorrow’s Tre Bicchieri event, when Fort Mason turns into a mini Italy, packed with incredible wines and hot men in suits. What more does a girl need? EOS exterior. Photo from Facebook. 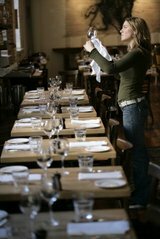 A tablehopper reader tipped me off to some changes at Cole Valley’s ~EOS~ last week, and owner Scott Holley did in fact confirm for me the 15-year-old restaurant is going to close at the end of February. He wanted to wait until after Valentine’s Day for the news to be released, but since SFoodie broke the news today, let’s discuss. Holley is closing the restaurant after service on Saturday February 25th, saying, “It’s been a great restaurant and location, but after 15 years, the concept ran its course. It had a good legacy in the neighborhood.” Holley is currently working on two different restaurant-internet projects, so stand by for more on that. As for ~PAPAZOTE~, the Mamacita/Tipsy Pig/Umami/Blue Barn crew (Nate Valentine, Sam Josi, and Stryker Scales) are excited about the opportunity to open their Mexican project in the neighborhood (Valentine lived in Cole Valley for six years, and really loves the area). As for the name, saying “papazote” to a good-looking guy is like the equivalent of calling a hot woman “mamacita.” Valentine says Papazote is going to be a more refined version of Mamacita. They are working on menus now, but some additions include more in-house salsas, three kinds of chilaquiles, four kinds of enchiladas, and the opportunity to choose from a variety of proteins (say, carnitas or scallops) and have them in a street taco, or crispy taco, or fajitas, or quesadilla. They will be making tortillas to order (both flour and corn). They plan to be open for lunch and dinner, with a few brunch items thrown in. Valentine also alludes to serving something that isn’t being offered here in SF. Hmmmm. The team (which also includes Jordan Dunn, who has worked at Mamacita as a GM) is currently working with the landlord and neighborhood on their needs, and they are also trying to secure a full liquor license for the location. Since that may take a while, they might open the wine bar part of the location first. There are lots of moving parts and variables, but potential timing could point to a July or August opening. Welcome to this side of town, gents. 901 Cole St. at Carl, 415-566-3063. Last Monday I spoke with chef-partner Danny Bowien of ~MISSION CHINESE FOOD~ about the rumor I heard that MCF was opening a location in New York. He said they were still in negotiations and asked me to keep it on the DL, but according to this article in The New York Times yesterday, it’s a done deal. MCF will reportedly be opening in the Rhong-Tiam Garden location (154 Orchard St. at Stanton) in the Lower East Side in the spring. When Bowien and I spoke last week, he said he was excited to offer a mid-range restaurant for New York, a niche he thinks MCF would fill nicely. The Times piece mentions MCF will continue their charitable focus, donating 75 cents from every food and drink item. Okay New York, you have our Blue Bottle and now Mission Chinese Food. Whatcha got for us, huh? I think Russ & Daughters would be nice (bagels included). And Xi’an Famous Foods. Come on! Jake’s dining room photo via Eater by Molly DeCoudreaux. Now “softly” open, ~JAKE’S ON MARKET~ is welcoming walk-in diners in the former 2223 Restaurant space in the Castro (the restaurant will start accepting reservations on Wednesday). Long-time Castro residents Tim Travelstead and Brad Becker named the place after their son Jake, and have brought on chef Erik Hopfinger. The menu includes 50-plus dishes (um, whoa), ranging from starters like onion rings and mussels and clams, to pizzettas, build-your-own pasta dishes (pick your sauce and pasta), salads, a ground-to-order burger, homey dishes like fried chicken and pot pie, and a variety of steaks and chops. There’s also a kid’s menu, and weekend brunch. The price-point is meant to be at an affordable level, while still using seasonal, local, and sustainable ingredients. There’s a full bar with house cocktails, plus 19 wines by the glass (with 4 on tap), and 12 beers. Jim Maxwell of Architects II is behind the refresh, which includes new booths, a completely redone bar with a white marble top and red aluminum chairs, and mid-century pendant lighting fixtures (Eater has some nice pics over here). Dinner nightly 5pm-10pm, late menu Sun-Thu 10pm-1am and Fri-Sat 10pm-2am. Brunch Sat-Sun 10am-4pm; lunch launching later. 2223 Market St. at Sanchez, 415-431-0692. Bar at Hecho. Photo by Naseema Khan. Longtime San Franciscan sushi lovers will fondly remember chef Sachio Kojima during his time at Kabuto A&S on Geary, who sadly sold the business and headed to Mount Shasta when his wife’s health was failing. Years later, Kojima has returned, and Scoop reports Joseph Manzare has hired Kojima as his chef for ~HECHO~ near Union Square. Ends up he’s already been there a while—am sure many people will be happy to see him doing his magic at the counter. 185 Sutter St. at Kearny, 415-835-6400. With chef Sarah Kirnon’s departure from ~HIBISCUS~ in Oakland, the restaurant decided to close for remodeling, and a post on Facebook mentions the new “culinary team of Jordan Medina and Christian Baker of Radius Cafe fame as our new restaurant partners,” while Eater reports the new chef is Gregory Leon (Mirtille, Poesia). The new menu direction will reportedly be “a focus on California cuisine with a heavy nod toward the South,” with dishes like “shrimp with stone-ground grits and pork belly, bbq cooked on the smoker out back, a Southern fried chicken sandwich for lunch and he’ll be making his own cornbread and biscuits in house.” Stand by for a reopening date and more; in the meantime, the restaurant’s Rock Steady bar is offering a “7 for $7” bar and late-night menu. Awwww, Guido! 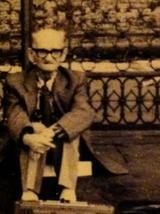 Photo from Guido’s Facebook page. Many years ago, I used to throw a happy hour at ~VERTIGO~ on Polk Street, and one of the bartenders (Derek Burke) and I would share stories of how we missed Italy, the cuisine, and la dolce vita. He’s an avid cook, always sending me pictures of homemade pastas and braises he’s cooked up with his delightful girlfriend, Stephanie Magalhaes, another total Italophile. Burke has been in the restaurant and bar business all his life, and Magalhaes is currently a server at Just For You Cafe in Dogpatch. The menu includes a few antipasti, all under $9 (Caesar salad, polpette, or involtini of eggplant with housemade ricotta); pastas include lasagne, ravioli with Swiss chard and ricotta, or spaghetti and meatballs (plus pasta for the kiddies); and meatier mains like pollo alla cacciatora (braised chicken legs with polenta, $16.95) and osso buco ($18.50) with polenta. Ingredients are market fresh, and many of the dishes are well-suited for take-out. Dinner is Wed and Thu from 5pm-9:30pm or so (this week is the soft opening), and there are plans to offer an early dinner special at 5pm (stand by). Wine and beer available. Cash only. Follow Guido on Facebook for updates on the menu, specials, and more. Just For You Cafe, 732 22nd St. at 3rd St., 415-647-3033. There was an explosion of news yesterday about chef Ravi Kapur (formerly Prospect) popping up at ~CITIZEN’S BAND~ this coming Monday February 20th. Since the seats for his 10-course, Hawaiian-inspired supper ($65, including tax and tip) are sold out, stand by for an announcement of the next one (you can follow him on Twitter here). There are a few seats that will be available at the counter for walk-ins if you want to give it a go, starting at 5:30pm. At Wexler’s: seared diver scallop with smoked salmon roe, crème fraîche, and melted “slaw.” Photo: © tablehopper.com. Last week I had a chance to preview a new tasting menu by chef Charlie Kleinman at ~WEXLER’S~ in the Financial District. He’s calling the first menu “Paris, Texas,” (so clever, and one of my favorite films) featuring classic French bistro dishes through a barbecue lens, like celery root soup with crispy ham hock, cornbread croutons, and sauce verte; a phenomenal smoked mackerel escabèche with frisée, bacon, and fingerlings; seared diver scallop with smoked salmon roe, crème fraîche, and melted “slaw”; duck confit with smoked lentils (a fun play on smoked beans), roasted apple, aigre-doux; and for dessert, you’ll have to make some room for roasted sweet potato pot de crème and rosemary sablé. It’s a very fulfilling dinner for $55, and wine pairings are $30. If you haven’t had a chance to visit Wexler’s lately, here’s a good excuse to return. You can keep up with upcoming menus on their Facebook page and Twitter. And one more special menu for your radar: since our months to enjoy foie gras are numbered, ~BAYWOLF~ is offering “A Farewell to Foie Gras” menu on Sunday February 26th. It includes gougère with duck liver flan; salt and pepper-cured foie gras salad with escarole, walnuts, and caramelized apples; foie gras ravioli with double duck consommé; and foie gras-stuffed duck breast with peas, greens, and fava beans. $85. (If you can’t make it, they will be doing a “Farewell to Foie Gras Reduxx Dinner” in April.) 3853 Piedmont Ave. at Rio Vista, Oakland, 510-655-6004. 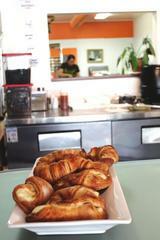 Breakfast treats from Venga Empanadas; photo from Facebook. Some new eats for your radar: first, the Mission’s fabulous empanada maker, ~VENGA EMPANADAS~ is now open for breakfast, starting at 8:30am. Swing by for a breakfast empanada fresh out of the oven, or a medialuna-Argentine croissant in plain, chocolate, or membrillo (quince). And this week only: buy a breakfast empanada and get a free cup of Rodger’s coffee. 443 Valencia St. at 15th St., 415-552-5895. A tablehopper reader tipped me off about the “freaking amazing brunch” they enjoyed over the weekend at ~CEDAR HILL~ in the Marina: “Smoked bbq hash, Deep fried french toast, smokehouse breakfast for the gluttons. Plus, bbq michelada with tall boy of pbr.” Here’s the menu, which also includes huevos rancheros, biscuits and gravy, and a breakfast sandwich. Eater mentions brunch is served Sat-Sun 10am-3pm. 3242 Scott St. at Chestnut, 415-834-5403. Over in Hayes Valley, ~BAR JULES~ is opening for lunch on Tuesdays starting next week, on February 21st at 11:30am. In Dogpatch, ~SERPENTINE~ is doing Taco Tuesdays for lunch, currently serving a trio of tacos with pan-seared true cod, green mango slaw, radish, cilantro, lime, and tomatillo salsa for $10 (and there’s a $5 margarita to go with them). Chomp N’ Swig. Photo from The Richmond SF blog. According to The Richmond SF blog, ~CHOMP N’ SWIG~ has replaced Cafe Mereb, serving coffee and pastries starting at 7am, and sandwiches and beer as the day goes on. Happy hour is Mon-Fri 3pm-7pm. Open Tue-Wed 8am-9pm, Thu-Fri 8am-11pm, Sat 9am-11pm, Sun 9am-9pm. Oh, and there’s a deal on Scoutmob right now if you want to go check it out (the menu is listed, too). 1541 Clement St. at 17th Ave., 415-683-5946. Reader Jason B. lets me know about ~ROLLING OUT~, a café in the Sunset that recently opened in the former Greenhouse Cafe space, serving a variety of inventive housemade pastries, organic coffee, and sandwiches on housemade bread. 1722 Taraval St. at 27th Ave., 415-513-6054. According to Scoop, ~ROAM ARTISAN BURGERS~ is planning to take over the ~OSAKA~ space on Fillmore and open a second location. If the deal goes through, the plan is to open this summer after a redesign. 1923 Fillmore St. at Pine. Telegraph exterior; Yelp photo by Jason S.
Chowhound and Grub Street mention ~TELEGRAPH~, a newly opened spot that took over the former Mama Buzz café. On the menu: bagels and Pepples donuts in the morning (plus espresso and coffee drinks from Mr. Espresso), and housemade sausages for lunch and dinner, like wild boar and pear or whiskey and fennel, along with beers on tap. There’s a patio with picnic tables lending a biergarten vibe. Tue-Fri 8am-10pm, Sat-Sun 10am-10pm. 2318 Telegraph Ave. at 24th St., Oakland, 510-444-8353. Berkeleyside mentions the former Green Papaya is now morphing into ~THANU’S KITCHEN~—it’s still Thai, but there will now be meat on the menu. According to a post on Yelp, a sign on the door said, “Dear Customers, We apologize for the inconvenience, due to low volume of Vegan/Vegetarian consumers Green Papaya will not be able to stay open. After New Year of 2012 [2011 on sign, but I’m sure they mean 2012] we’re renovating this place into a non-vegan restaurant. Although we’re changing things up a bit here; we will still offer Vegetarians our selective menu and no worries our utilities such as pots, pans, and ingredients for Vegetarian will most definitely be separated from non-vegetarian. Hope to see you guys again once we re-open our new restaurant!!! Sincerely, Green Papaya.” 2016 Shattuck Ave. at Addison, Berkeley, 510-845-1658. The bar at the SF location. Photo from Facebook. Housemade guanciale at District; photo from Facebook. District in SoMa is getting close to opening a second location in Old Oakland, ~DISTRICT OAKLAND~ in the former Levende East spot. Partners Jon D’Angelica, Chris Vance, and Ryan Vance—working with wine director and sommelier Caterina Mirabelli and executive chef Bob Cina—plan to open by March or April. The historic building (updated by Arcsine Architecture and Bellusci Designs) will feature a large horsehoe bar made with reclaimed Brazilian barnwood (peroba rosa), and there will also be a wine and whiskey tower that features the building’s original doorway header from 1878. Additional features: sofa beds in the lounge, a video wall showing vintage movies, a mural by Brian Barneclo, and a rotating display of works by local artists. There will be room for 85 seated, plus the option of sidewalk seating. Mirabelli’s wine list will offer over 40 selections by the glass and in tasting flights, and over 300 reserve bottles. Since this location features a full liquor license, there will also be 40 craft whiskeys on the list, a cocktail menu with updates on classics (mint juleps and Sazeracs), and 16 beers on draught. Cina’s menu (think contemporary California with French and Latin influences) will include wine-friendly bites ($4-$7) like mushroom pâté en croûte and chèvre-stuffed Peppadew peppers, small plates ($9-$17) like Moroccan-spiced lamb meatballs, pizzettas ($10-$16), and an extensive cheese program with housemade charcuterie. And like the SF location, a daily happy hour will offer $1 oysters. Hours will be Mon-Fri 4pm-close, Sat 5pm onward. 827 Washington St. at 9th St., Oakland, 510-272-9110. Everyone loves a good cause—here’s a couple food-related ones for ya. Local startup ZeroCater invites you to ~FOOD-FOR-ALL~ on Wednesday February 22nd, 6:30pm-8:30pm, their official pre-party for Taste of the Nation San Francisco, with 100% of proceeds going to Share Our Strength. You’ll get tastes from Radius, Azalina’s, After Osha, Sataysfied, The Missing Link, Peasant Pies, Queen’s Louisiana Po-Boy Cafe, Bona Restaurant, Three Babes Bakeshop, Belgian Street Waffles, and Peko-Peko, plus beer and wine from Lagunitas Brewing Company and Toasted Head Wines. And for a bit of fun, enter the restaurant review writing contest from Google Places—the prize is a $150 dinner at any local restaurant. $10. 875 Sansome St., 1st Floor, at Broadway. Show some love for the ~ALAMEDA COUNTY COMMUNITY FOOD BANK~ on Thursday March 1st, when you can join other volunteers in sorting fresh produce and packaging food-drive donations, putting together thousands of meals for hungry families. The evening includes refreshments. Register online to reserve your spot; space is limited. 5:30pm-8:30pm. 7900 Edgewater Dr. at Oakport, Oakland. Have you ever said, “I just wish I had a couple more hours in the day?” Have you ever wished you could have a personal assistant without the 24/7 commitment? Have you ever felt frustrated when the weekend comes around and you’re out running errands instead of enjoying time with family and friends? If so, then it’s time you let someone else step in so you can enjoy more time for yourself and the things you love. ~ bella concierge ~ in San Francisco is a personal concierge business that can help you with just that—getting back to what means most to you! Whether you are looking for a little help on an infrequent basis or more support on a regular basis, ~ bella concierge ~ offers a wide range of services to fit everyone’s needs. Please contact me for more information on rates and services. We can get started right away. Enjoy a Night of Canned Beer, Fo' (Almost) Free! I know, your week is awash in sudsy parties and events for SF Beer Week (have you checked out the schedule? Holy hops, there is so much going on each day it’s insane! ), but here’s one that’s sure to catch your eye: In the Can, a craft beer tasting. On Wednesday February 15th, come meet craft brewers from all over that make great beer and sell it in cans. Each brewery will be pouring samples of their canned beer and offering beer snacks. The event entry fee is only $10, but the fine folks at ~THE BOOTHBY CENTER FOR THE BEVERAGE ARTS~ are offering tablehopper readers an exclusive deal of $10 off with code “tablehopper.” (You still have to pay a paltry Eventbrite fee.) Tickets for beer samples (4 oz.) are $1 each, sold as 5 for $5 or 12 for $10 as your initial purchase. ($1 per ticket after.) All tickets enter you in a raffle for fun prizes. 6pm-9pm. Enjoy! Get your ticket here. $10 (plus tasting tickets); $10 off entry with code "tablehopper"
Future home of Cervecería de MateVeza. Yelp photo by Kevin Y. Good news via Mission Loc@l: the Planning Commission approved the plans for ~CERVECERÍA DE MATEVEZA~, the Argentine restaurant and (small) brewery that wants to open in the former Lilah Belle’s space at the corner of Church and 18th Street. To recap, the plan is to offer empanadas from El Porteño, and use the space as a test kitchen, brewing on a small 20-gallon copper system. Matt Coelho would be the “beer-tender,” with growlers and bottles available for purchase to go. Stand by for news on the opening date, etc. 3801 18th St. at Church. Salt House; photo from Facebook. For those of you who like winemaker dinners, here are a few for your consideration. ~SALT HOUSE~ is launching “In The House,” a dinner series with California winemakers. Each dinner will be three courses with four wines for a very affordable $49 (tax and tip are extra). The first dinner is with Josh Jensen of Calera Wine Co. on Monday February 27th, here’s the menu: late winter vegetable and citrus salad with hazelnut vinaigrette with Calera, Aligoté, Mt. Harlan 2010; Eden Farms pork cheeks with green garlic spaetzle and braised radishes with Calera, Pinot Noir, Mt. Harlan, Reed 2002 and Calera, Pinot Noir, Mt. Harlan, DeVilliers 2009; and Valsetz (St. Maure-style goat’s milk cheese from Oregon) with pear chutney and candied walnuts with Calera, Dessert Viognier Doux, Central Coast 2010. 6:30pm. Upcoming dinners: Monday March 19th with Frog’s Leap Winery owner John Williams, and Monday April 2nd with Pine Ridge Vineyards winemaker Michael Beaulac. Reservations can be made by email or by calling 415-543-8900. Also in SoMa, ~AQ~ is hosting Jared Brant of Donkey & Goat Winery on Tuesday February 21st. The five-course dinner with pairings starts at 6pm. Click here for the menu. $80, inclusive of beverages, tax, and gratuity. Advance payment will be taken with a credit card at the time of reservation; call 415-341-9000. 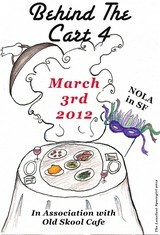 The first CUESA cocktail event of 2012 is coming up on Wednesday February 29th—get your tix while they last! Brought to you by CUESA and the Northern California chapter of the United States Bartenders Guild, this Leap Day event has a special theme: ~LADY LEAP YEAR COCKTAILS OF THE FARMERS MARKET~, featuring lady bartenders mixing up drinks and vying for your votes. Guests get 2 full-sized signature cocktails and 10 sample-sized drinks, plus bite-sized snacks from the farmers’ market. Participating bartenders include Keli Rivers and Jessica Maria (Hotsy Totsy Club), Melissa Boyd (Beretta), Christina Cabrera (Michael Mina), Kristin Almy (Miss Pearl’s Jam House), Kate Bolton (Maven), Jen Ackerill (Rye), Yael Amyra (Acme Bar and Company, The Boothby), Allison Webber (Jasper’s Corner Tap), Jennifer Seidman and girls (Acme Bar), Kimberly Rosselle (Flora), Lucia Creed Gonzalez (Prizefighter), and Marguerite Regan and Summer-Jane Bell (The New Easy). What’s up with ladies and leap year? They say an early 20th-century folk tradition suggested women propose marriage during leap years. Even if you’re not ready for that kind of leap, you might wanna take this one: for a limited time, you can buy a season pass to all four 2012 Cocktails of the Farmers Market events for $135. Get all the details online. Otherwise, tickets to this event are $40. 21+ only. 5:30pm-8pm. The CUESA Kitchen at the Ferry Building. Beattie’s John Chapman (at Spoonbar). Photo: © tablehopper.com. Over at ~HOG &AMP; ROCKS~, the cocktail program has advanced nicely under the direction of Scott Beattie (he was brought on board back in October) and Michael Lazar, who joined the team as bar manager in December after things didn’t work out at Plum Bar in Oakland. The spirits list features local distillers keeping company with American whiskies, while the cocktails feature Beattie’s trademark fresh and foraged seasonal ingredients. Top of my list is Michael’s Calabria (Old Grandad 114, bergamot, Averna, honey, ginger beer), while Scott’s John Chapman (St. George whiskey, Weller bourbon, pear eau de vie, apple, ginger, lemon, thai coconut-apple foam) is a fantastic drink of his I tried at Spoonbar. There’s also a Jerry Thomas Manhattan (Rittenhouse rye, Carpano Antica, Jerry Thomas and Angostura bitters) which comes damn close to how I make my Manhattan. Check out the list here and get thirsty. The Commonwealth crew; photo via Eater by Molly DeCoudreaux. No doubt there’s a lot of young culinary talent coming up in SF, and this Thursday February 16th starting at 6pm, you’ve got a chance to meet a particularly hot group of chefs at The Commonwealth Club for their panel ~MEET AND EAT WITH SF’S HOTTEST CULINARY CREW~. Brandon Jew (Bar Agricole), William Werner (the newly minted Outfit Generic), Brett Cooper (Outerlands), Michael Gaines (Central Kitchen), and Evan Rich (Chefs’ Night Off pop-up dinners) are joining moderator Carolyn Alburger (Eater SF) to discuss their delicious and innovative cuisines. Expect the shop talk to cover farmers, chef camaraderie, and modern SF cuisine. Tickets are $25, $15 members, $7 students with ID. 595 Market St., 2nd Fl., at 2nd St. This panel will likely convince you to dine with these five chefs at ~BAR AGRICOLE~ on Monday February 20th, when the chefs (with production partner Kitchit) will present a five-course prix-fixe dinner with available drink pairings. Sneak a peek at some of the courses: local halibut with bone marrow vinaigrette and turnips; chilled sunchoke soup with preserved lemon, ras el hanout, and nettles; roasted black cod with Espelette and celery; rabbit loin with mustard, green garlic, and cardoons; and milk chocolate, citrus, violet, and burnt honey. $120, $100 members, includes panel discussion, five-course dinner, but does not include wine/cocktails or gratuity. Dinner tickets here. 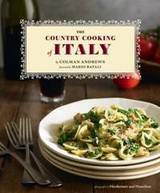 In another culinary chat and chomp, food writer Colman Andrews (co-founder of Saveur mag) is coming to the Bay Area on Sunday February 26th with his newest book, The Country Cooking of Italy. The book includes 230 recipes from every region of Italy, with loads of photos to boot (over 100). You can meet this James Beard award-winning author at ~OMNIVORE BOOKS~ from 3pm-4pm for a talk and signing, or have dinner with him at ~CAMINO~ in Oakland at 5:30pm. Dinner features cocktails and four-courses. $85 including wine, not including tax or gratuity; tickets avail online. 3917 Grand Ave. at Sunnyslope, Oakland, 510-547-5035. King cake; Flickr photo from Emily Carlin. New Year’s resolutions already a distant memory? Good, ‘cause there’s plenty of places to live it up next Tuesday February 21st for Mardi Gras. ~TOWN HALL~ is holding their annual Mardi Gras party with Crescent City cuisine and drinks, plus dancing with live music, Samba dancers, and face painters. $60 plus tax in advance online; $75 inclusive of tax at the door. The Fat Tuesday celebration at ~BOXING ROOM~ includes special menu items for lunch and dinner (like duck and sausage jambalaya, Gulf oysters on the half shell for $2 each, and king cake by pastry chef Bill Corbett), Abita Mardi Gras Bock on tap, and live music with Aaron Leese and The Panhandlers, a San Francisco-based New Orleans-style jazz and blues band, playing from 7pm-10pm. For the third year, the merchants of the Fillmore District are presenting their annual Mardi Gras fête, ~FAT TUESDAY IN THE FILLMORE~, aka FillmoreNOLA. From 5pm-midnight, Fillmore Street between Geary and Eddy will be packed with party-goers mingling amongst stilt walkers, jugglers, and face painters while live music at the Fillmore Center Plaza completes the New Orleans-style scene. Meanwhile, these participating venues will offer discounts (like signature cocktails, wines and beers, and nibbles under $10) to wristband-wearers: 1300 on Fillmore, Rasselas Jazz Club, Sheba Piano Lounge, Yoshi’s, Gussie’s Chicken and Waffles, Fat Angel Food and Libation, Bruno’s Pizzeria, and newcomer The Social Study. $5 custom wristbands are avail now online or at the event check-in site, the Jazz Heritage Center (1320 Fillmore Street)—a portion of proceeds benefit the center. Continuing the Big Easy theme on Saturday March 3rd, ~BEHIND THE CART 4~ is presenting a NOLA in SF dinner, in partnership with Old Skool Cafe (a nonprofit, youth-run supper club) and seven locals: S+S Gastro Grub, Fat Alley Foods, Angry Man Eats, GrilledCheezGuy, Suite Foods, Frozen Kusterd, and The Uncommon Pickle. Nine-piece New Orleans band MJ’s Brass Boppers will be making it truly Big Easy-style. 5:30pm-8:30pm. Semi-secret location. Updates: ~JUST FOR YOU CAFE~ is serving up NOLA specialties from 7:30am-3pm: blackened catfish, oyster ‘n’ shrimp po’ boys, jambalaya, gumbo, red beans and rice, and housemade king cake. Look for wine and Abita beer specials too, and revel in the Mardi Gras music. 732 22nd St. at 3rd St., 415-647-3033. Also, good news from Eater, ~BRENDA’S FRENCH SOUL FOOD~ will be open through dinner on Fat Tuesday (they’re normally closed for dinner Tuesdays), 8am-10pm, with special additions to the menu: andouille sausage po’ boy, chicken-sausage jambalaya for lunch, and pork chops smothered with onion gravy for dinner. They’ll also have strawberry Abita and Dixie Blackened Voodoo on the beer list. London’s arbuckle grits with caramelized fino verde fennel, ricotta, purslane, and strawberry soffritto; photo by Deirdre Bourdet. Rising star chef Aaron London of ~UBUNTU~ announced last week that he is leaving the wine country’s temple of vegetarian gastronomy to open his own restaurant in San Francisco. Ubuntu’s surprising five-month winter hiatus this year provided an easy transition out of Napa, and he’s been spending his break in the city training to be the head cook and bottle washer at his new venture. His goal: to work a stint in every restaurant station, both front and back of the house (check him out behind the bar at Locanda). London is cagey with details of where and what his future restaurant will be, but will hopefully open up more once he secures the space he says he’s got his eye on, and the build-out gets underway. He did tell Grub Street that “it’s not a one-word answer” whether he will continue in the all-vegetable style he honed while at Ubuntu, but that all of his past work experiences will influence the cuisine. The break with Ubuntu’s owner Sandy Lawrence was apparently amicable, but no word yet on what we can expect when Ubuntu reopens this spring. At last night’s pop-up dinner at Bar Tartine with Sarah Kirnon, there were a couple very special guests in the packed house: ~Dave Chapelle~, who is a big fan of Kirnon’s cooking, and ~Michael Pollan~, who was overheard saying it was the best fried chicken he’s had in his life. I’d have to agree. This post on the nopa blog shares the story that ~John McEnroe~ tried to come in to nopa at the end of brunch service, but they were able to steer him to Nopalito instead, where he had the famed carnitas with a ginger lemonade. Chefs Eric Ripert and Laurent Manrique, and Anthony Bourdain. Photo from Twitter. All content © 2012 tablehopper, LLC. I am more than happy if you want to link to my reviews and content elsewhere (thanks, glad you dig it), but republishing any part of them in any way, shape or form is strictly prohibited until we talk first. Please take a look at my Creative Commons license for more detail.